If your kids wait for the Halloween day to arrive so that they can go nuts during the entire day, then you can make it extra special for them through some fun games. And in case you have trouble coming up with suitable games for the kids, check out the selection given below – halloween games for kids of all ages. Kids can play any of the following Halloween party games online and have a fun time with their friends. This is one of the best Halloween games online. The purpose of the game is to match as many Halloween characters displayed by the game. The faster the matching is done, the faster you can clear the levels. Being a fast-paced game that requires one to think quickly, Scary Flibriks can turn out to be pretty addictive for both kids and adults. At first, Bungle will look like a simple, bland game. But once you start playing it, you’ll soon realize that this game takes fun to a whole new level. Kids will love timing the jump of the Jack O Lantern character in order to climb up the bones. This is a perfect game to play with your children on Halloween. In this online game, the player is tasked to help the central character Wendel safeguard her pumpkins from the numerous ghosts that try to take it away from her. For kids who like to participate in quick reflex games, this will provide hours of entertainment. There are custom Halloween bingo cards that have to be printed out. They contain 5 X 5 squares with various pictures on each square. A player is expected to call out the object. When that happens, all players will simultaneously mark that object in their printout. The first player to mark 5 objects in a row, either vertically, horizontally, or diagonally, can call out the term ‘BINGO’ and will be considered the winner. 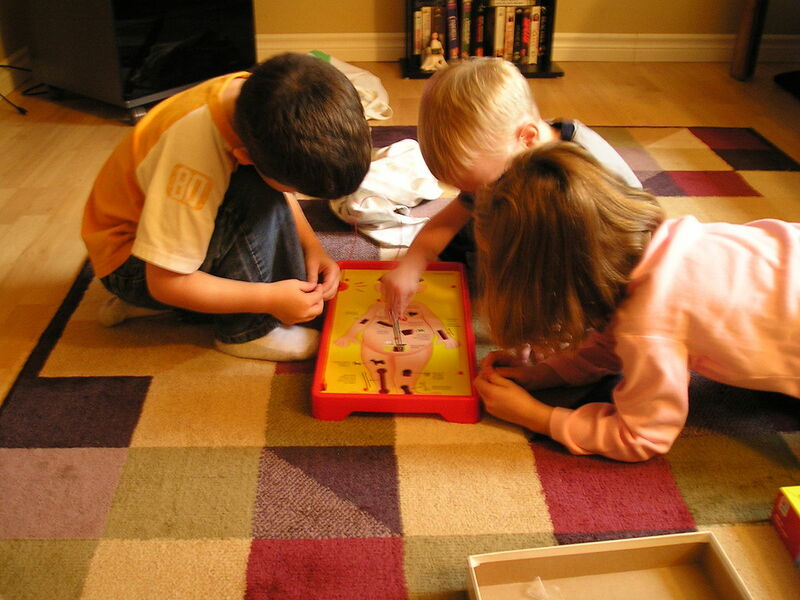 This game gets competitive very quickly and is sure to make the kids want to play it again and again. Print out the Halloween charade cards from the internet. Generally, multiple images will be printed in columns. You will have to cut each column separately. Once done, fold them up and put them in a basket. When playtime arrives, ask the children to pick one of the folded cards. They will then have to enact whatever is written in those cards. Those who act in a way that enables the audience to correctly guess their message will be declared the winner. As the name suggests, the game involves pinning bowties on a large printout of a character. Usually, life-sized prints are used since they tend to make the game more exciting. Each participant will have their eyes covered by a piece of cloth. And then they are expected to pin the bowtie exactly on the spot indicated on the printout. The person who pins it in the correct spot or at a location closest to the spot will be declared the winner. In addition to the above, there are many more Halloween games for all ages that can entice both adults and kids during the festival day. Just search for more such games on the internet and you will be better able to make the day special for your young ones. Who knows, you might come up with some kickass Halloween game ideas by yourself. Previous PostMust-Know Facts On Parenting A Child With Mental IllnessNext PostWhy Academic Writing is Important for Students?